First, the company should list the milestones they would like to achieve before raising the next round and a financial model that projects the capital requirements to attain those milestones. The SaaS fundraising market has become relatively efficient and good initial targets for raising Series A and Series B are roughly $100k and $250k in MRR, plus or minus $50k in MRR. Next, the company should develop a cash flow forecast to answer the question, Can the startup achieve those milestones with the cash on the balance sheet, plus a six month buffer to raise the next round? If the startup possesses sufficient capital to attain those milestones, the team should focus on attaining those milestones and raising capital opportunistically. If undercapitalized, the team should decide which to pursue: to raise capital now, raise capital later or become profitable on the cash available. When should a startup raise immediately? There are a few different scenarios when an immediate raise is a good idea. The inside investors are excited about the business and are willing to lead and price an inside round to bolster the balance sheet. Or the startup has good odds of raising capital now because the startup can still sell the dream, not the metrics. In other words, the founders can raise on the promise of success. Typically, such a company has a unique perspective, a remarkable team and large market opportunity to address. Last, the company is embarking on a long-term build and won’t have achieved an important milestone (product launch, paying customers) upon which to raise the next round. It may be worth trying to close a round sooner rather than later. 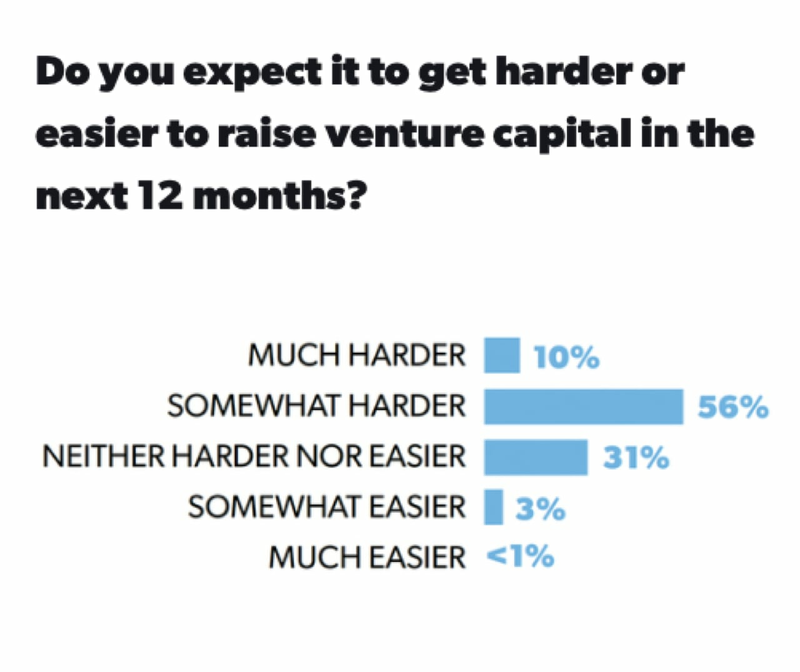 When should a startup raise capital later? This is the riskiest option. Without a strong milestone to underpin a fundraising, the startup’s team is betting that either the market will rebound to a degree, some key milestone will fall ahead of plan, the startup’s target market will mature meaningfully in the next few monthls or the founders will be able to raise irrespective of the state of the business. When should a company aim for cash flow break-even? This is the most conservative option. Consider this option when your startup is already generating revenues substantial enough to support a team that can invest, improve and build the business. The goal is self-sustainability and steady, but slower growth. In contrast, a meager revenue stream that subsists a skeleton maintenance team won’t build long term business value. Each startups’ fundraising plan should reflect the uniqueness of the business’ circumstances: its strengths, weaknesses and plan. Re-evaluating this plan quarterly is also a good idea. Ultimately, this longer term planning should ensure your startup has the capital needed to thrive, regardless of the oscillations of the fundraising market.